View More In KVM Switches - Page 2. 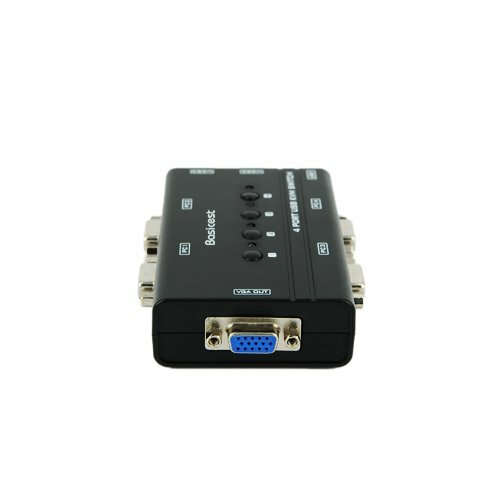 The new manual USB KVM BAS2151, comes as the perfect fit for your playstation to save space as well as energy. 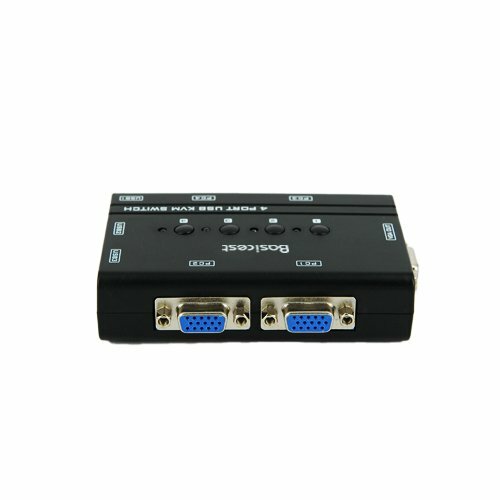 It provides you faster switching between 4 PCs while working with 1 set of keyboard, mouse and a monitor. You will love the experience with your DVR and wide screen display combined with this switch with its support for bigger resolution. No matter what environment you are running in, with its compatibility with most of the operating systems, BAS2151 will give you no hassle in setting up. The setup is all 'plug and play' and also comes with auto scan feature. The switch also comes with basic LED indication feature to help in recognizing which PC you are currently controlling and you will love the sensitivity of manual selection switches for making faster switching between devices. 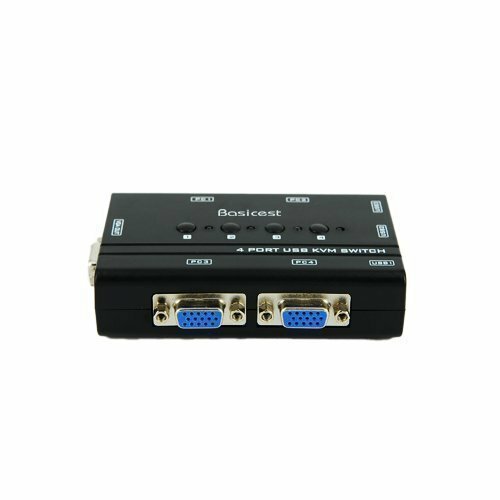 Experience faster and convenient switching with BAS2151 KVM switch which runs non-power and comes as the best deal you will opt for. Easy control of 4 PCs with 1 keyboard, 1mouse and 1 monitor. Comes with push button and LED display. Supports higher resolutions up to 1920 x 1440. Compatible with DOS, 98SE, WinNT, Win95, Win98, Win2000, Win3.X, Windows ME, Windows Vista, Windows XP, Linux, Unix and Netware. If you have any questions about this product by Basicest, contact us by completing and submitting the form below. If you are looking for a specif part number, please include it with your message.